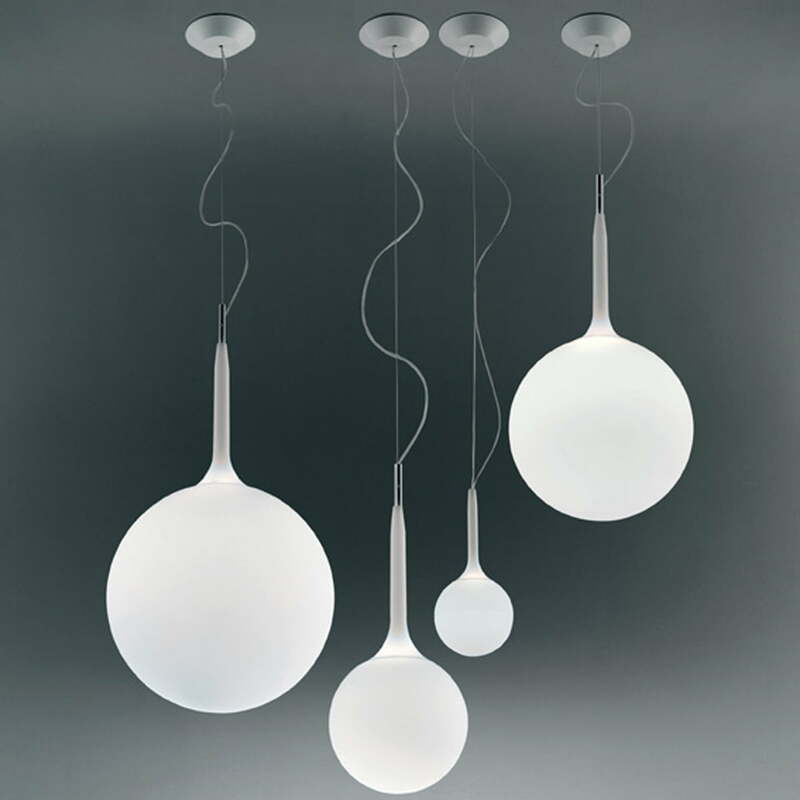 The Castore Sospensione by Artemide is a pleasant, ball-shaped pendant lamp made from hand-blown glass. Its inconspicuous exterior reveals a very different picture at second glance, as its high-quality finishing can be seen with the naked eye. The pleasant, diffuse and indirect interior light that emanates from the Castore Sospensione is the reason why it is perfect for the living or bedroom. Since the Castore Sospensione pendant lamp by Artemide is available in different sizes, you can arrange multiple into a drop-like pattern. 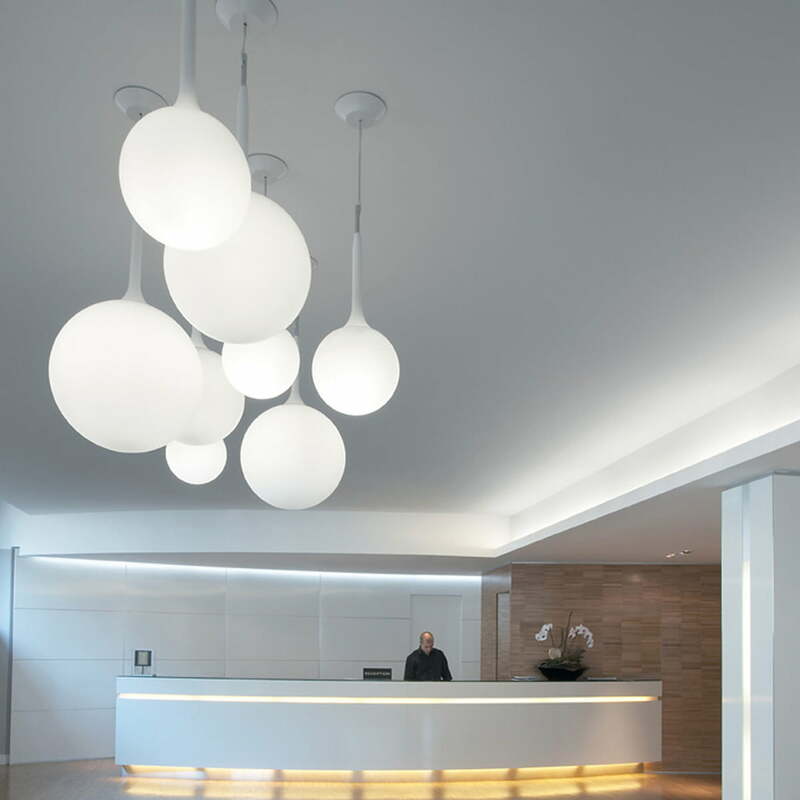 This creates an impressive interplay of shapes, sizes and light. The Castore pendant lamp series was created in 2003 by Michele De Lucchi and Huub Ubbens. The series consists of pendant and table lamps in four different sizes (diameter 14 cm, 25 cm, 35 cm and 42 cm), as well as floor lamps in two different sizes (diameter 35 cm and 42 cm). Furthermore, the Castore Calice pendant lamp is also available, with a hemispherical shade with downwards-facing opening, providing direct lighting.